Catch possums, rabbits, ferrets, stoats and other wild animal pests safely and humanely with our Havahart® 1088 live animal cage trap. Havahart® cage traps are a safe and humane way to get rid of unwanted pests. Havahart® is the most innovative brand in wild animal control and has been recognized and trusted by consumers for over 60 years! We have Havahart traps that can be used to catch anything from a tiny mouse to a small dog. The Havahart® 1088 live animal trap is made of sturdy metal with a spring loaded door that securely locks. 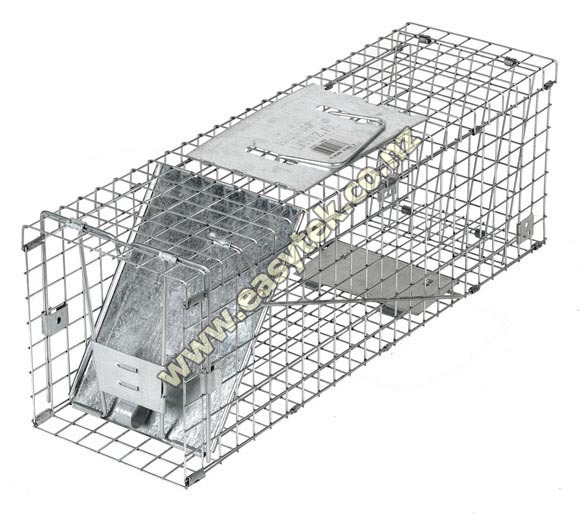 The trap is made of heavy-gauge sheet steel, and sturdy wire mesh. All Havahart® traps are galvanized for long life, maximum resistance to rust, corrosion and wear. The Havahart 1088 live animal trap is simple, quick and easy to set in a few seconds. The collapsible design is perfect for space-saving storage. 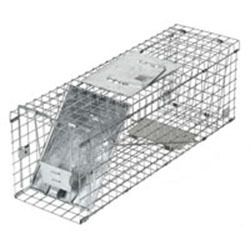 The Havahart® 1088 live animal cage trap has been designed to provide many years of reliable service. It is made of galvanized wire mesh with steel reinforcements. The trap is collapsible, easy to store and pops up in seconds! Collapsible 'Space Saver' design: Pops up in seconds; folds for space-saving storage. Proven design: Tested by professional trappers. 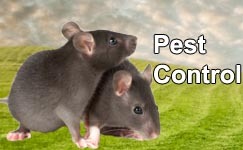 Pest and nuisance animals: Ideal to catch possums, rabbits, rats, stoats, ferrets and others. Havahart 1088 Professional Animal Trap reviewed by Aart J., Rotorua on 2017-01-20 . Havahart 1088 Professional Animal Trap reviewed by Mark G., Manukau on 2016-01-05 . Very happy in all respects. Havahart 1088 Professional Animal Trap reviewed by allan . on 2013-01-03 .
it was sent by econmie courier service what is this about . Havahart 1088 Professional Animal Trap reviewed by Catherine A. on 2014-05-19 . Thank you for the quick and professional service. I have just received my 'Havahart Live Animal Cage Trap Model 1088. Within 24 hours it has already caught two possums, one of which has been trying to get in our house via the cat flap. Thanks again for all your help and advice, I was very please with the service and the product.